You just set the desired number of the days to keep track of, and Stream MultiRec will record them uninterruptedly 24 hours a day with no human intervention. 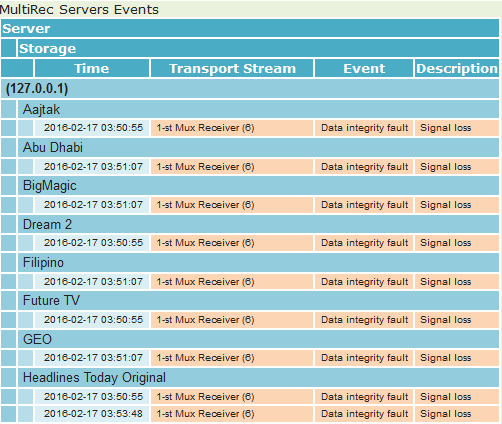 The number of tracked channels is defined by the user depending on specific requirements and the storage capacity of the video server in use. Does not require any watermarking of the feeds in advance. Fingerprint can be extracted from any sample, either from the recorded feed or from an imported file. 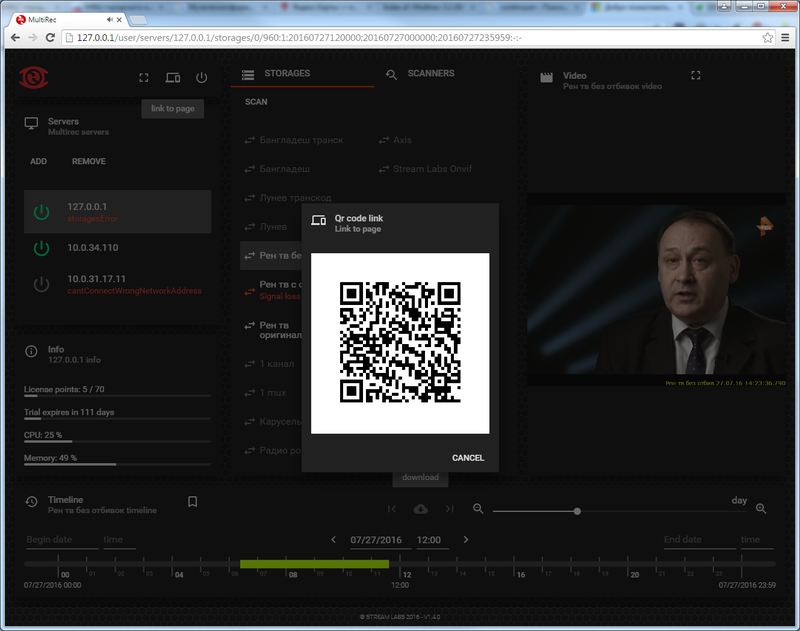 Scan previously recorded material retroactively with x16 speed. 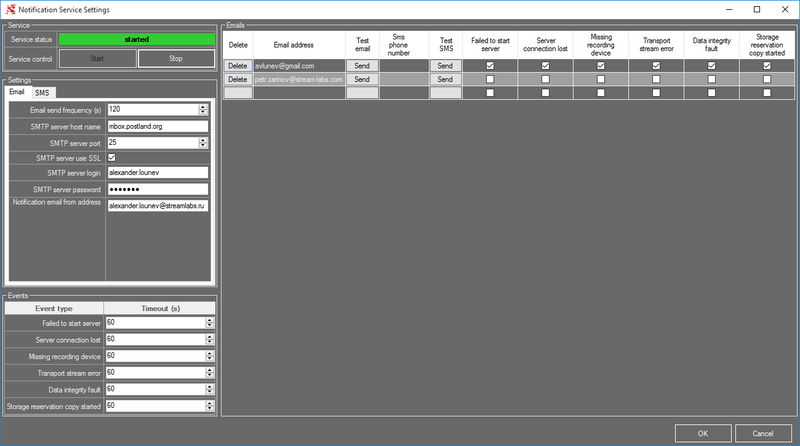 User autorizations for login in WEB interface allow to keep for each operator different templates and different number of templates. UDP and RTP(HD or SD;Multicast or Unicast;SPTS or MPTS;H.264 or Mpeg-2 with any Audio Codec). To playback video in WEB browser through HLS video must be in AVC\H.264 with AAC audio(Google Chrome or Mozilla Firefox). Advertisement Scanner required special license type. Cross-platform - there are possible to work with servers through any OS on which can be installed WEB browser - Mac OS, Linux, Chrome OS, Android, iOS, and etc. Possibility to work with MultiRec servers on mobile devices based on platforms Android, iOS, Windows Phone. "Link to page" feature - is generating QR code for current session. 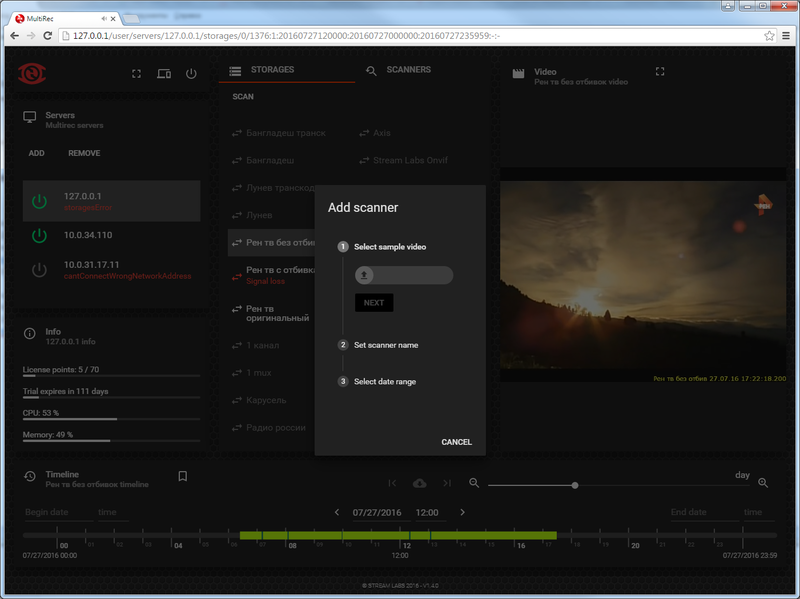 This allows to login and continue work with video archive later from any mobile device with full restored session. Possibility to get access to server from any place in the worls. Demultiplexing MPTS to single services for recording. N+1 redundancy at input network interfaces, condition of HDD(s), condition of the server itself and of operating system. 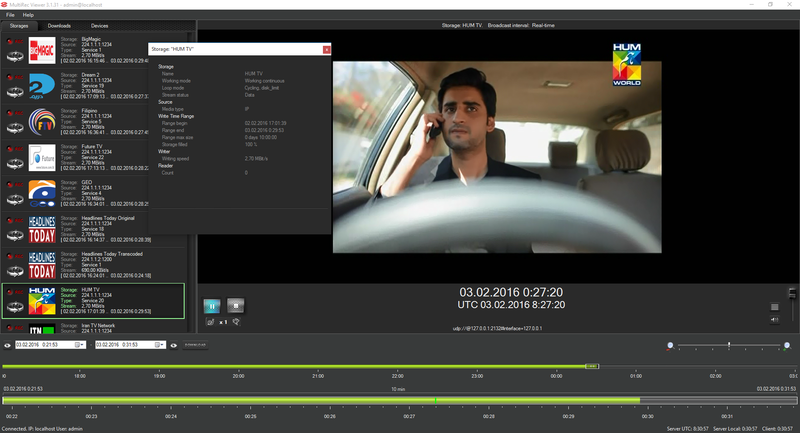 Display of the entire recording history for every channel using special timeline with different colors, marking the recording events such as the start/stop, no signal, no writing...etc. User rights - allows simultaneous connection, downloading and viewing in real time the recorded data by multiple users. 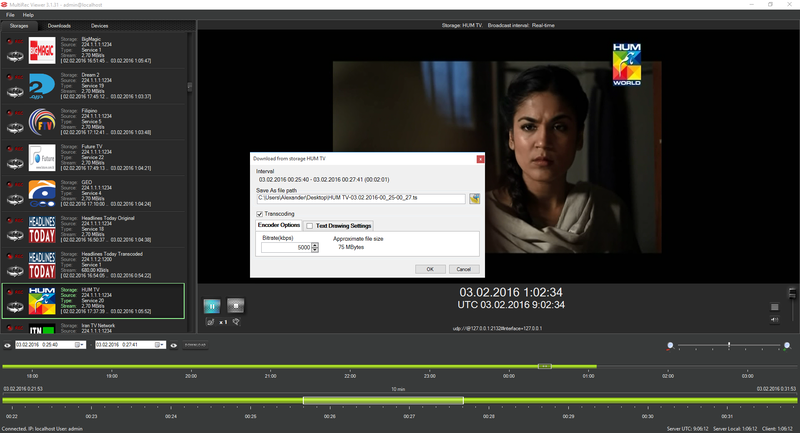 Converting video fragments after downloading from storage to MP4, AVI or TS format. 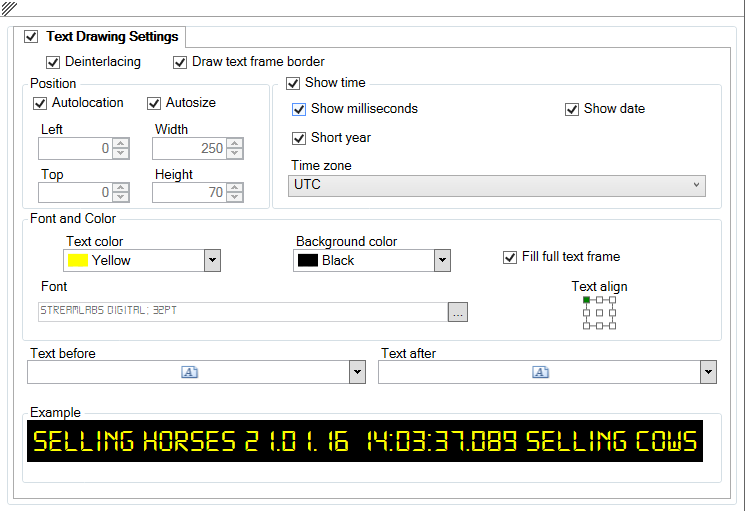 Time-Stamping on top of video with any font, size, color after downloading from storage. User Rights access to servers. 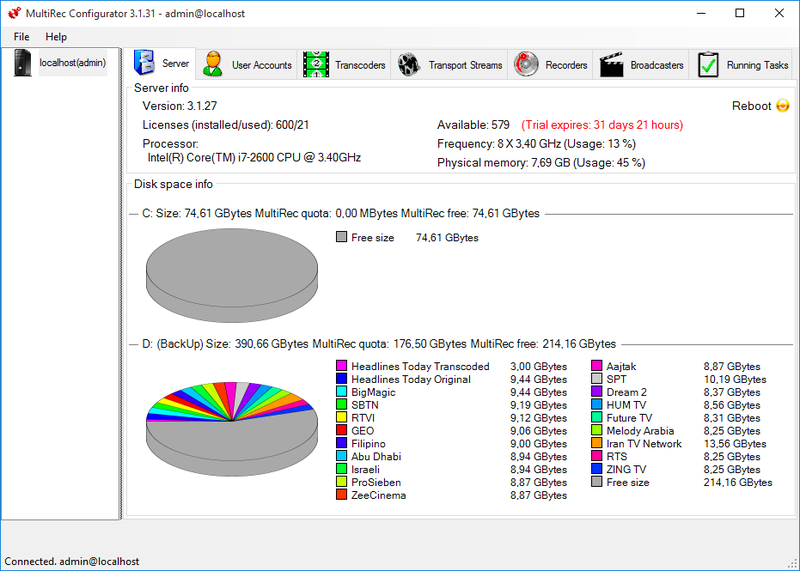 The standard Stream MultiRec server comes with a complete set of server and client software. 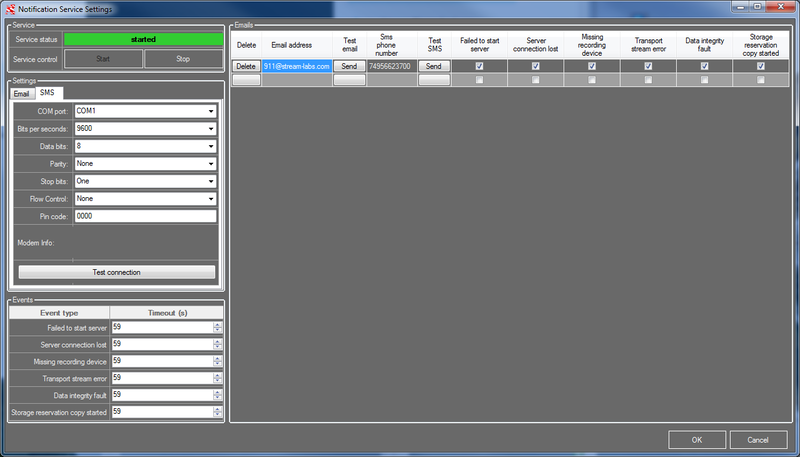 The client software can be installed by the user to the desired number of network workstations. 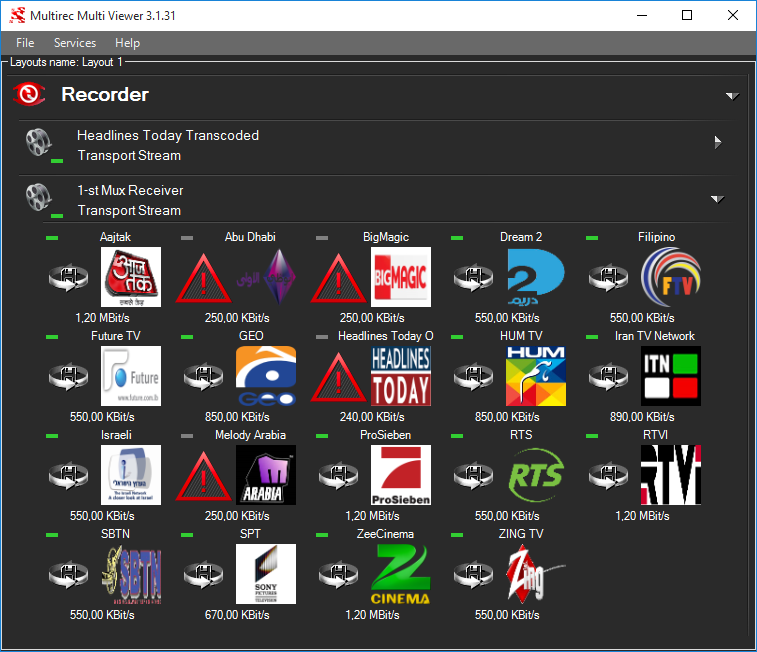 MultiRec Viewer: GUI client application for downloading and revision of the saved media data in video archive. Separate software-client forvisual status monitoring of several recording servers Stream MultiRec with details for each recorded channel. Notifications SMS Notification via GSM modem. Example of Email templates.